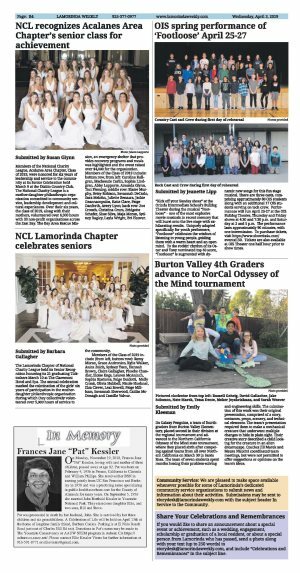 The Lamorinda Chapter of National Charity League held its Senior Recognition honoring its 21 graduating Ticktockers March 10 at The Claremont Hotel and Spa. 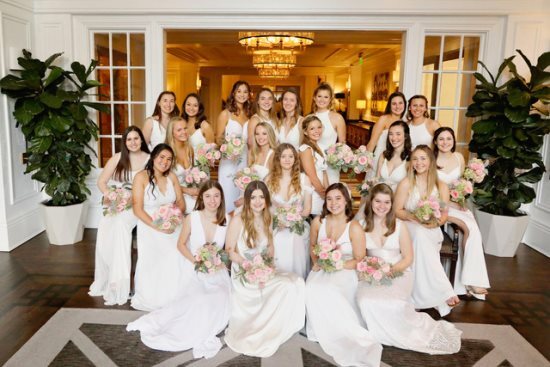 The annual celebration marked the culmination of the girls' six years of participation in the mother-daughter philanthropic organization during which they collectively volunteered over 5,000 hours of service to the community. Members of the Class of 2019 include (from left, bottom row): Remy Moran, Grace Andronico, Kylie Walker, Anica Zulch, Sydney Yuen, Hannah Brown, Claire Gallagher, Phoebe Chandler, Eloise Engs, Lauren McAninch, Sophia Kosturos, Paige Guidotti, Molly Cronk, Olivia Hubbell, Nicole Huebner, Elsa Clever, Lexi Rowell, Paige Millham, Savannah Sherwood, Caitlin McDonagh and Camille Valvur.